#1 cause=ganglion. 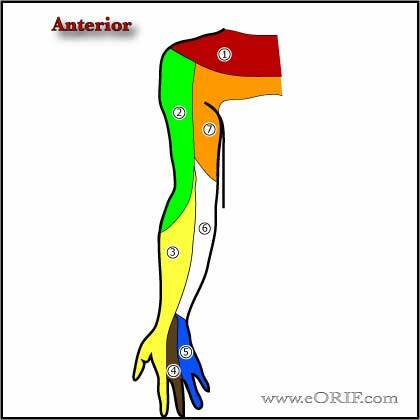 Especially Zone 1 and 2.
roof=volar carpal ligament. Floor=transverse carpal ligament & pisohamate ligament. Ulnar wall=hook of hamate. 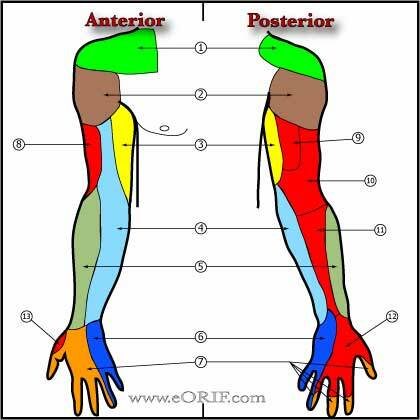 Radial wall =pisiform &ADM muscle muscle. 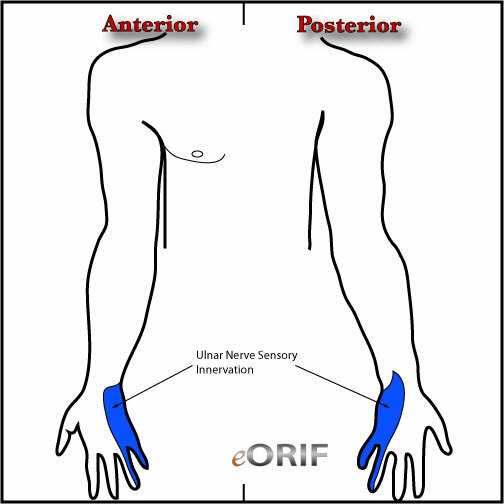 Ulnar tunnel zone 1=proximal to bifurcation of nerve associated with mixed motor/sensory. Most common lesions = ganglions and hook of Hamate Fracture. Ulnar tunnel zone 2=hook of hamate, deep motor branch only. Most common lesions = ganglions and hook of hamate fracture. 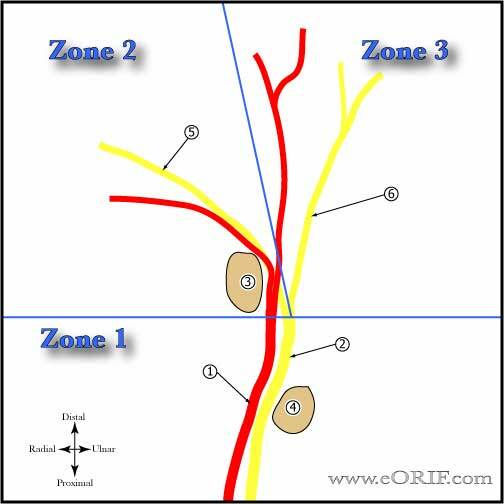 ulnar tunnel zone 3=superficial sensory branch only. Most common lesions = Ulnar artery thrombosis. Dorsal ulnar sided hand/wrist sensation is normal in Ulnar tunnel syndrome, if abnormal consider Cubital tunnel syndrome. Document vascular exam (Allens test), if abnormal consider Ulnar artery thrombosis. CTscan: best test to evaluate for hook of hamate fracture. Identiy etiology. Any identified compressive lesion should be removed, generally involves release of Guyon's canal, resection of any space occupying lesion, treatment of hook of hamate fracture, or revascularizing thrombosed ulnar artery.